Bullying is defined by Acas (Advisory, Conciliation and Arbitration Service) as any unwanted behaviour that makes someone feel intimidated, degraded, humiliated or offended. Examples include spreading malicious rumours or insulting someone, exclusion or victimisation, unfair treatment or deliberately undermining a competent worker by constant criticism. It can happen face-to-face, by letter, email, phone or on social media. 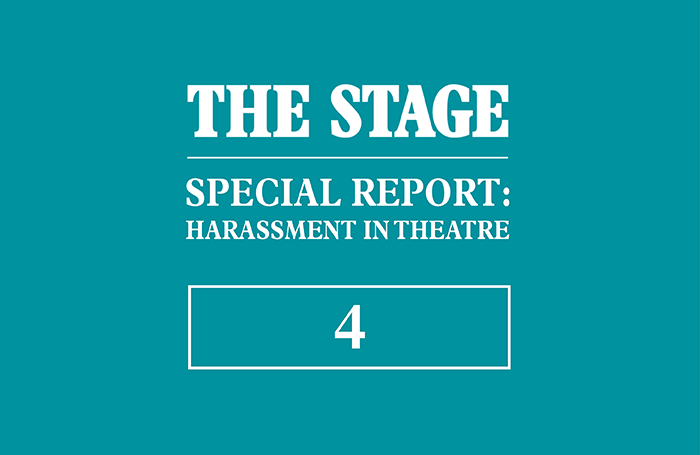 The survey’s results highlighted bullying as the most common occurrence of workplace harassment in the theatre industry. An average of 43% of respondents who answered the question on this topic said they had experienced it at some point in their careers, and it was consistently highlighted in respondents’ answers as a particular problem in the industry. 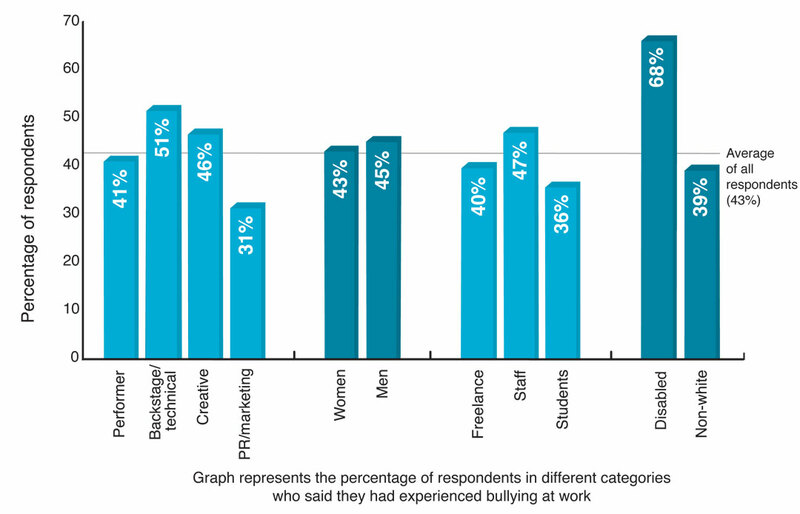 It was more prevalent in some groups of respondents, for example individuals employed in backstage and technical roles were the most likely section of the workforce to describe incidences of bullying. More than half of those who work in this area of theatre said they had been bullied. 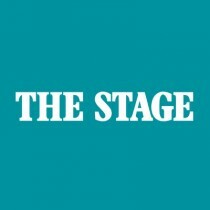 One backstage worker said it was common for senior staff to give junior employees “undue, unfair and unnecessary criticism” to assert authority, making others feel “seriously uncomfortable”. Others reported a “culture of bullying in the workplace”, with managers allowing bad behaviour to go unchecked. The majority (68%) of disabled workers answering the survey said they had been bullied at work. However, it is worth noting that the sample size for this area of respondents was relatively small. Freelance respondents did not reveal as high a rate of bullying as their counterparts who work as members of staff at an organisation.